Good morning! Well, it’s Sunday, so Amy and I are likely beginning the trek back to Joh-ja (that’s Georgia for you yanks!) as you’re reading this. OnStage Live is done for 2016 – and….we found out right at the end that the next event – OnStage Local, this November – will have one venue in Atlanta!! Now, that’s worthy of a whoo-hoo! No travel required!! 🙂 We were so happy to get this news! I’ve got a lot to share with you – starting tomorrow afternoon! Sneak peeks of the wonderful new catalog. Expect a “regular” post from me in the morning and then a second post in the afternoon. That second one will also contain the Retiring Products list and might even announce a new Stamps-N-Lingers ordering special! So be watching your Inbox tomorrow, okay!? Stampin’ Up! Floral Wings Petite Pairs Get Well! Heading into the last day of OnStage Live. It’s been a great event – punctuated by lots of Prize Patrols and whoo-hoo-ing – and a great new catalog. I’ll be bringing home a few make-and-takes, that showcase some of the new products, and I’ve taken lots of display pictures – that I’ll share with you with the updates on Tuesday! I can’t wait for you to see the new goodies! Stampin’ Up! Botanicals One Big Meaning Thanks! Update on 19 April: I just found out that this card was picked as an Artist Pick at Hand Stamped Sentiments! Many thanks to the talented ladies at HSS for picking my card out of all the beautiful ones submitted. And congrats to all the picks. You can see the other ladies’ cards here. I wanted to share a couple more pics with y’all from our day on Wednesday. The home office is one of the prettiest buildings I’ve seen. Lots of wood paneling and crown molding. And the center atrium…..
We got a birds-eye view of the distribution canter – where everything in all our orders is “picked” and packed and shipped. Pretty impressive pick-line! And Stampin’ Up! goodies as far as the eye can see! Before we got done, we wandered thru the hall of the convention center. This is how it looked on Wednesday afternoon….. So – enough about OnStage for a second! I’ll share more haps with you tomorrow, I promise. Mornin’, y’all – it’s Thursday and that means it’s Blog Hop Day! If you’ve been here at our Blog Hops before – welcome back, and thank you! If this is your first time with us, I think you’re in for a treat – we’ve got some really talented ladies in this group. You’ll like what you see as you tour thru everyone’s blog, I promise! So, tomorrow (well, today, when you read this!) is the start of OnStage – I’ll try to send an update with Friday’s card share! And now – back to our regularly scheduled programming! On with the Happy Stampers Blog Hop! For the Vivid Vases, I first stamped just four of the vases and flowers image onto a piece of Very Vanilla card stock, which I matted on Blackberry Bliss. I colored the vases I wanted to stamp with my Basic Black Stampin’ Write Marker – directly to the rubber – and then stamped it on the card stock. Then I colored the flowers (from left to right) with Tangelo Twist, Blackberry Bliss/Rich Razzleberry, Blackberry Bliss and Hello Honey/Old Olive Stampin’ Write Markers. For the vases themselves – I stamped the image again a couple of times on a few of the more…decorative!…pieces of the Farmer’s Market DSP and then cut each vase out with my Paper Snips. I liked how each one got a completely different pattern on it – they look like art glass, to me! Then, because I knew I was going to pop them with Stampin’ Dimensionals – and needed them to have a little body – I used a little Multi-Purpose Liquid Glue to adhere them to a scrap of Very Vanilla card stock. Then I fussy cut them again! From there – it was downhill and easy peasy! Not to say that any of this had been hard to this point. Just kind of fussy. I SNAILd the vases-stamped Very Vanilla panel to the card front (remember I’d already matted it on Blackberry Bliss). Then I SNAILd another design in the Farmer’s Market DSP on Blackberry Bliss and SNAILd that to the card front (it’s the piece under “Thanks”). Over that, I used some more Liquid Glue to adhere a length of 1 1/4″ Burlap Ribbon. That set me up for the fussy cut Vivid Vases. I cut small pieces of Stampin’ Dimensionals and used those to pop each vase over its counterpart (and a little of the Burlap Ribbon) on the Very Vanilla stamped image. Finally, I wrapped a piece of Blackberry Bliss 5/8″ Striped Cotton Ribbon over the Burlap Ribbon – also covering the bottom edge of the vases – securing it in the back with scotch tape. I covered the vases on the Vivid Vases stamp with sticky notes, inked up just the sentiment in Mossy Meadow and stamped it on a strip of Very Vanilla. I then used my Washi Label Punch to punch each end of the strip. Since this punch is now not available – if you don’t have it already, you could easily do fussy cut banner ends instead! Then I used a little Liquid Glue to adhere the sentiment to the ribbon. For the inside of the card, I used my Basic Black Stampin’ Write Marker to ink up one vase and stamped it in the corner of a Very Vanilla panel. Then I adhered a fussy cut vase over that with Liquid Glue, and colored the flower with my Hello Honey and Old Olive Stampin’ Write Markers. I SNAILd the panel to a Blackberry Bliss mat and then into my Mossy Meadow card base. I also SNAILd the card front on and the card was done! For the Crumb Cake Medium Envelope, I stamped a Basic Black Vivid Vase in the bottom front corner and colored the flowers and leaves…. …and used another piece of the Farmer’s Market DSP to cut a liner with my Envelope Liner Framelits. Now that you’ve seen my card, please take a little time to visit all the Happy Stampers Team blogs today! These are the last of the traditional Weekly Deals! WEEKLY DEALS FOR 12 Apr – 18 Apr 15!! Click here to see the Weekly Deals from Stampin’ Up! in my online store. The Weekly Deals are only while supplies last and only available at these great prices through 18 Apr! Use this host code when you order and receive a free gift from me! But, if your order is over $150, please don’t use this code (you’ll miss out on your own Stampin’ Rewards if you use it) but you’ll still get the free gift. 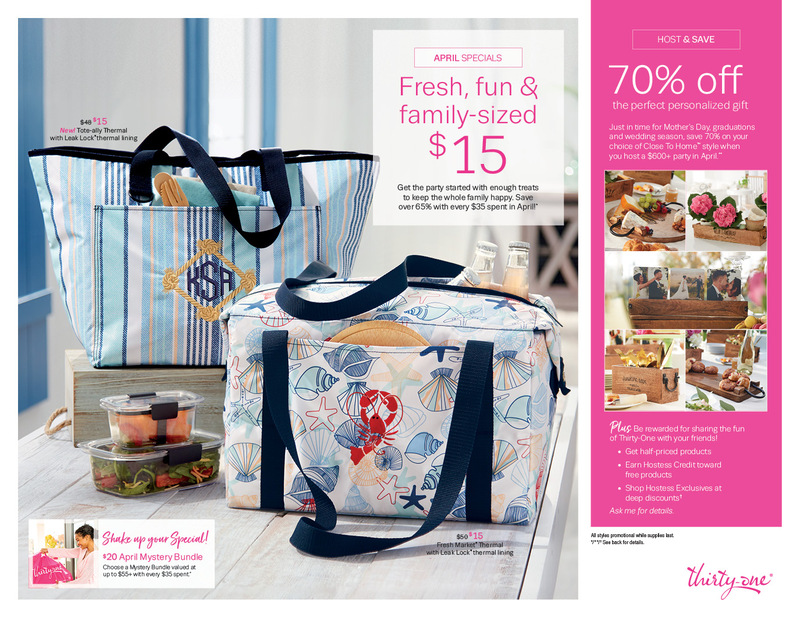 The free gift is your choice of any item valued up to $8.00 in the brand new 2015-16 Annual Catalog or the 2015 Occasions Catalog. When you place an order thru my Online Store, you’ll get a message telling you a status of the item. Good morning! By the time you read this, I should be (all things being equal!) sitting on an airplane with Amy Koenders. Getting ready to wing our way to Salt Lake City. OnStage, baby! Now, for those of you who don’t know me – I’m not really a “whoo-hoo”-er. I’ve been known to be a “WHOOP!”-er – but only at horse shows and only when my fave gaited Saddlebred is passing in front of me and I’m showing my support. I. Don’t. Whoo-hoo. At least not “for real” – I might do it in jest…but that’s it! Miss Amy said a scary thing the other day while we were on a Google Hangout meeting. It had to do with her plan to whoo-hoo on the plane. Happy Tuesday, y’all! It’s that time of the week where I share the news from Stampin’ Up! and the new (and these are the LAST ONES!) Weekly Deals! I’ll be ordering new 2016-2017 Annual Catalogs in the first week of May and sending them out around mid-May. Scroll down to see how to get your FREE copy from me. Then start your wish lists – ordering from the new catalog opens on 1 June! Stampin’ Up! You’re So Lovely Summer Silhouettes and a Blog Candy Winner! Hello Monday! Hope y’all had a great weekend! We had a Blog Candy Winner – from a lot of comments. Thanks so much to everyone who stopped by! Read on and I’ll share the winner’s name at the end of this post! Stampin’ Up! Garden in Bloom Smiles! Stampin’ Up! Helping Me Grow Thanks!